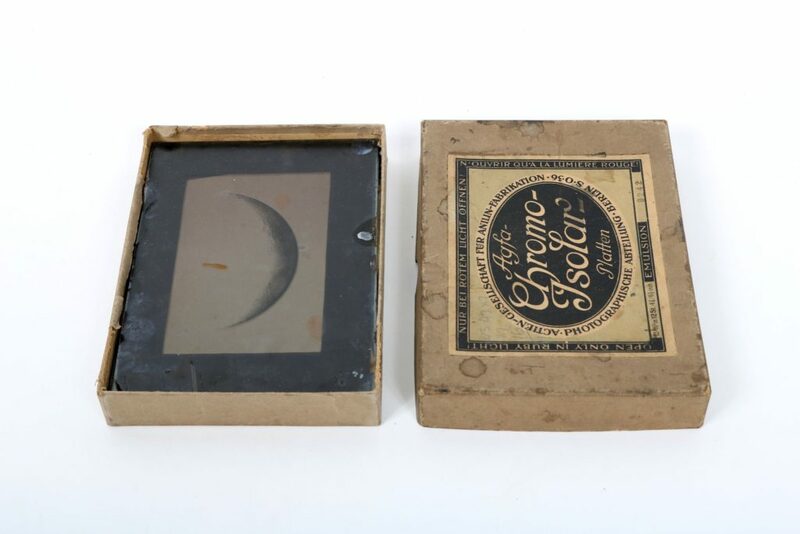 This is a set of eight large glass slides depicting images of the moon. 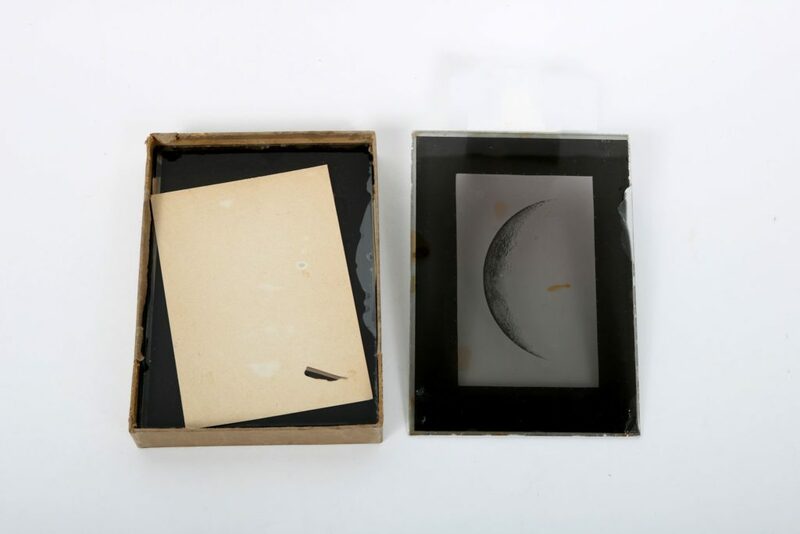 Each 12cm x 16.5cm slide appears to be a copy of a page of a photographic atlas called “Photographie Lunaire” by Maurice Loewy and Pierre Puiseux (1910). Each slide has the date of the photograph handwritten onto it underneath the image. 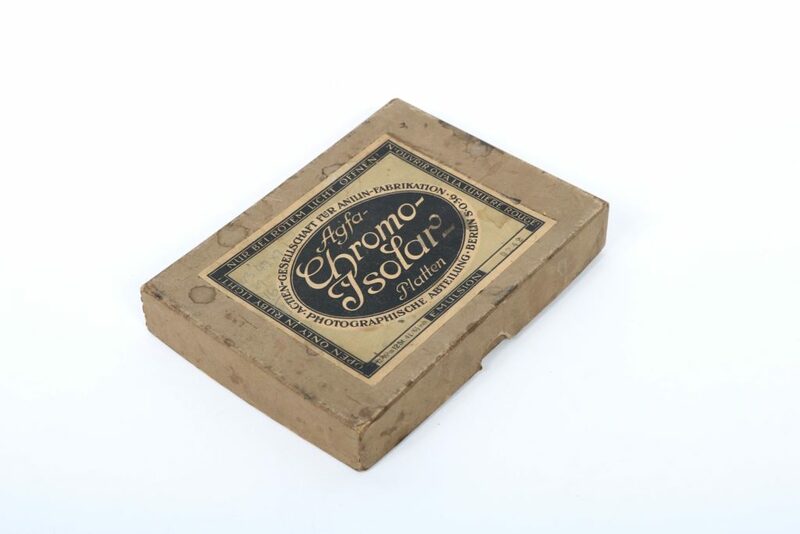 The slides are separated by sheets of scrap paper, and contained with a cardboard slide box. Dimensions (cm): Length = 17, Width = 12, Height = 2.5. It is unknown when these slides were produced, or why. They may be associated with teaching at the Department of Astronomy, or with work done at the David Dunlap Observatory (although they predate the observatory itself). If the latter, they were likely moved from the David Dunlap Observatory in Richmond Hill in 2008, upon the sale of the observatory. It was stored at the Department of Astronomy and Astrophysics until 2017, when it was moved to a new storage location in McLennan Physical Laboratories.